The InfraGard Electromagnetic Pulse Special Interest Group (EMP SIG) has supported preparedness and recovery of the critical infrastructures of the United States since its founding in year 2011. The InfraGard EMP SIG sponsored a Summit on December 7, 2018 at the U. S. National Capitol Visitors Center in Washington DC. The Agenda for the day is reproduced below. We offer a special “Thank you” to David Womick, Producer & Director of Earthling Films, for recording and making available the presentations. We Thank Our Sponsors: Emprimus, Advanced Fusion Worldwide, Environmental Services, Hartwell Capitol Consulting, Armag Corp, EXCEL Services, Energy Investment Partners & VelociForm, Agile Fractal Grid, Intenergys, AUI/Woodstar Labs, and Trusted Systems. The InfraGard groups in North Carolina based out of Charlotte and Raleigh have been working hard over the past several months to get EMP SIG programs up and running which will hopefully cover state and local activities as well as contributing heavily to the formation of the Southeast Regional EMP SIG. I'm happy to say that the regional group has been granted provisional status under the National EMP SIG. This has actually been the case for a little over a month now but various other InfraGard activities had briefly taken priority but focus is returning to EMP at this time. The new regional group has been formally designated the InfraGard Electromagnetic Pulse Special Interest Group for the Southeast. Quite the long name! As such, we've decided to shorten the name from this to InfraGard EMP SIG Southeast and then further to the designation we'll be using going forward, IES-SE. In addition to the work putting together the regional group, key individuals including Chuck Manto (National EMP SIG), Gary Gardner (National EMP SIG, INMA Board), Torry Crass (IES-SE, Charlotte), and Stephen Volandt (IES-SE, Raleigh) have been engaged with the State of North Carolina in various discussions around high impact resiliency and preparedness. Which the state is currently working on. While there is still plans and expectations to have more significant involvement for those interested in these and related projects, both at the local and regional levels, we are still working through details and setup before engaging others. We want to assure everyone that activity and involvement opportunities are coming while also ensuring that the infrastructure and support is available before we ramp up activity and get bogged down in logistical problems. 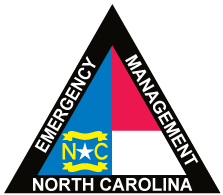 Please continue to check back for more information on the Southeast regional and Charlotte/Raleigh EMP programs.